I offer both private and public workshops locally in the Dallas / Fort Worth area. My workshops focus on learning new painting techniques and also enjoying watercolor as a form of mindfulness and relaxation. You’ll learn basic watercolor techniques, such as color mixing, brush strokes, and wet on wet vs. wet on dry, as well as a comprehensive overview of supplies, materials, and tools. 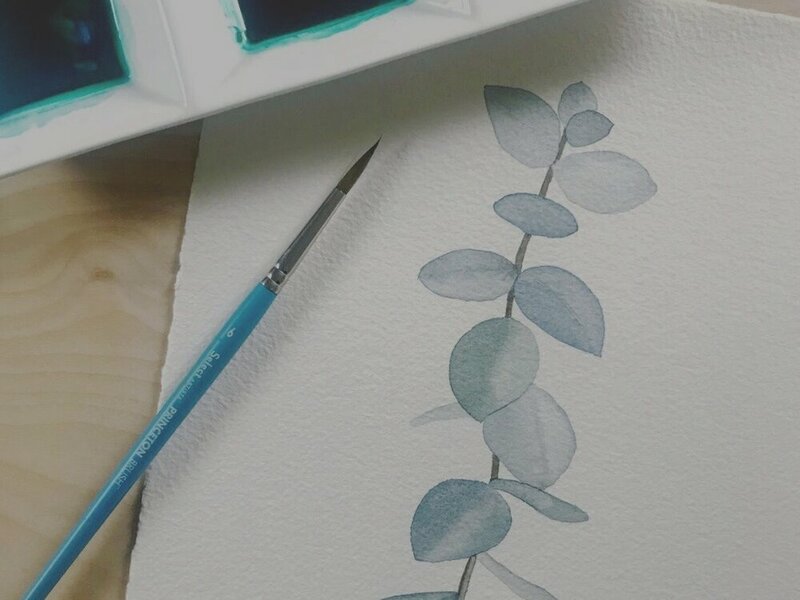 My private classes are a great way to get acquainted with watercolor in a more intimate, relaxed setting where you can receive hands on instruction and personalized help with your technique. A private group class is ideal for an employee wellness event, birthday party, or any small group looking for a unique activity. My public workshops take place periodically at local creative spaces and venues. Visit the events page to find out if I am teaching a class near you! Painting was initially a creative outlet for me, a way to carve out moments of peace and focus during a difficult period in my life. When I was feeling a little lost and unsure of my purpose, painting was the thing that helped me get out of my head and absorbed in something creative. I believe that art can do the same for you. Maybe it won’t become your biggest passion or lifelong career, but it might be just the outlet you need right now. Painting is a mindful practice, and there is something very rewarding and satisfying about creating, even if it’s just for yourself. Because I believe in the power of painting, I’m putting together a few resources for you. From supply lists to downloadable guides, I’m carefully designing all of these resources to help you along your own art journey. Check back very soon, or join my email list to be the first to hear about these items when they are released! If you love the look of watercolor but are unsure how to begin painting, you’ll want to check out this introductory watercolor guide full of helpful information on creating your own beautiful watercolor paintings. In this downloadable guide, I walk you through step-by-step how to work with watercolor, including various techniques and tips that I’ve learned over the course of my own painting journey. After trying countless different supplies over the years, I am finally compiling a comprehensive list of my favorites! From paper to brushes, paint to erasers, this list will include everything I use and love as well as details on where you can find each item. Don’t miss out on this gold mine!